A central tenet of the MACRA initiative is to increase patient engagement with the hope that it will translate into better patient outcomes. Many of these tasks can be time-intensive, but nevertheless, valuable to patient care. Our suite of tools was created to help automate as many of these tasks as possible in order to maximize both your practice’s patient engagement and resource utilization. I would like to introduce you to our follow-up product, which we’ll be releasing soon. 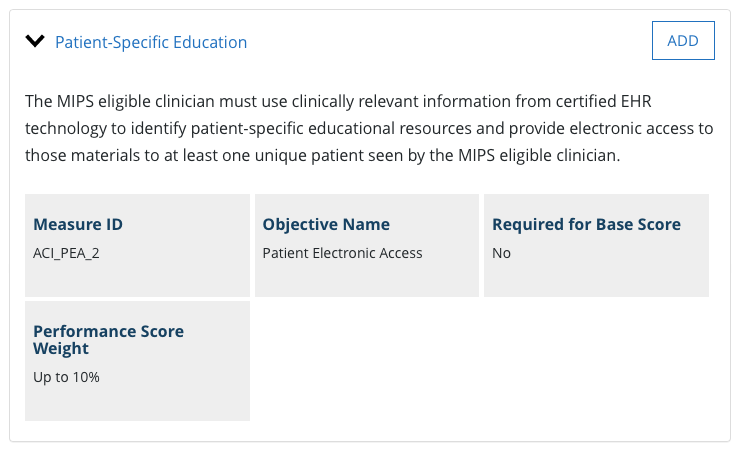 It can help address many of your patient communication needs (and save you tons of time), while also helping to maximize your MIPS score. Our follow-up product allows for granular-level customization letting you deliver the right message to the right patient at the right time. You have a patient who presented for a diabetes follow-up. During the visit, the patient appears to be developing progressive loss of sensation in the foot, increasing the risk of him developing a foot ulcer. During the appointment, you went through appropriate foot care with the patient, however, he/she seemed overwhelmed and unable to fully remember all of your instructions. So, following the appointment, you may want the patient to be reminded of appropriate foot care instructions, again. This is where we come in. Based on appointment type and patient characteristics, like diagnosis, we can automate a message following the appointment with curated educational material. You can even choose when the patient should receive the message and through what medium (email, text, or even secure message). With our follow-up product, you can configure an innumerable number of follow-up messages with the appropriate cadence and messaging, as needed. Patient-specific education is one of the ACI measures. By using our follow-up product, you can automate your entire patient communication cycle to not only improve patient engagement and satisfaction but to also maximize your score without the headache of having to micro-manage your process. If you’d like to find out more and be the first to find out when our follow-up product launches, contact us today and set up a free demo.